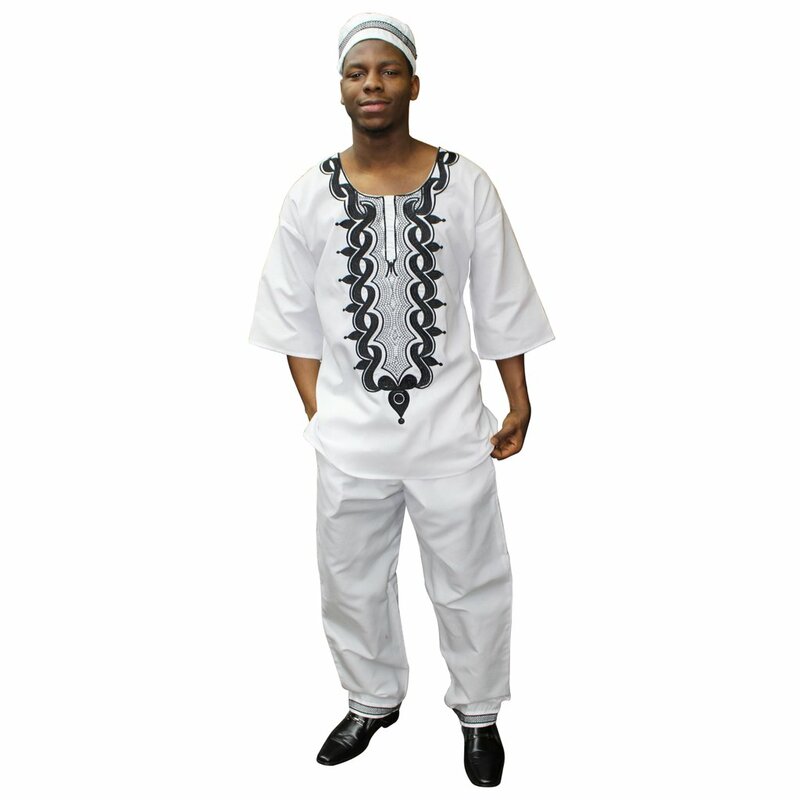 Stand out in the crowd and show pride in your African heritage with this black/gold emboidery dashiki set. et includes a dashiki top. a kufi cap and matching pants. One size fits most.